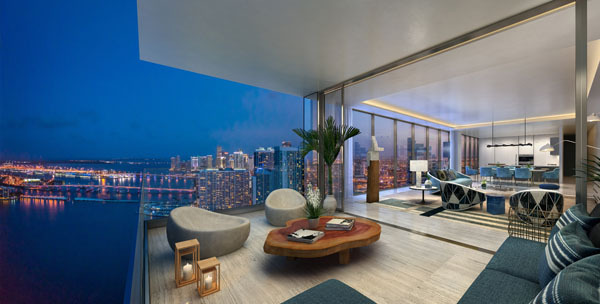 Luxurious living is redefined in Miami’s East Edgewater neighborhood with Elysee Miami’s Les Grandes Maisons residences located in the waterfront tower’s upper most floors from 46-56. With only two expansive flow through units per floor, architect Bernardo Fort-Brescia designed the residences in order to emulate an estate-like feel. This limited collection of spacious residences with penthouse level appointments span up to 3,891 square feet with panoramic waterfront views, expansive balconies with a suite of integrated health and wellness enhancements available. Unparalleled personal service coupled with lavish amenities are paramount at Elysee Miami. Residents will have access to the exclusive Elysee Attache- a premium concierge service available 24/7 that can take care of travel arrangements, dinner reservations, concert and event tickets and more. Elysee Attache is more than just a concierge service, it is the household manager for Elysee’s residents. With three full floors of amenities, the lifestyle at Elysee is unparalleled to other condominiums. Amenities in include two resort style pools, a state of the art health club equipped with a fitness center, yoga studio and spa with a sauna, steam room, massage rooms, children’s playroom and a blow dry bar. Additionally, the entire 30th floor Owner’s Sky Lounge will feature a Grand Salon with a full bar and piano lounge, grand dining room, chef’s kitchen, library, private theater, and game room. 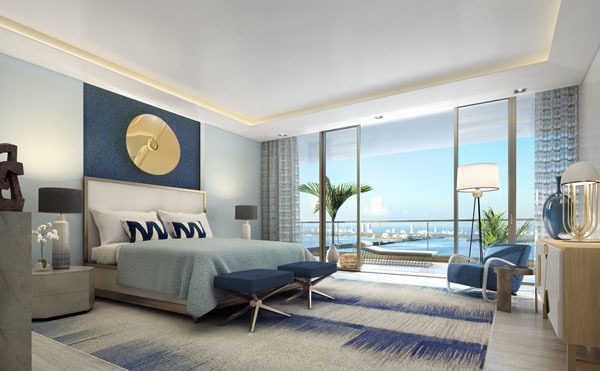 Elysee is a luxury boutique waterfront condominium located in Miami’s East Edgewater neighborhood by South Florida-based development firm Two Roads Development. With 100 half-floor and full-floor residences, the 57-story waterfront tower will rise directly along Biscayne Bay at 788 NE 23rd Street. For more information about Elysee, including preconstruction sales opportunities, please contact Cervera Real Estate at 305-767-1414 or visit the project’s sales gallery at 254 NE 30 St, Miami FL.